You’ve done your research, and you’ve weighed all the pros and cons. You’ve decided that you’re ready to take the plunge and upgrade to artificial grass – woohoo! Exciting! But now you have to decide which company you want to rely on to professionally install it. This is a big decision because if you choose a shoddy, unreliable company, you’re going to deeply regret it down the line. But you also don’t want to use the fanciest, most expensive company, and then end up overpaying. You need to hold onto your hard-earned money as much as you can, of course. So how can you make this important decision? Do some research, read some articles online, and ask local friends and family. Sooner or later, you’ll be lead to Green Turf. 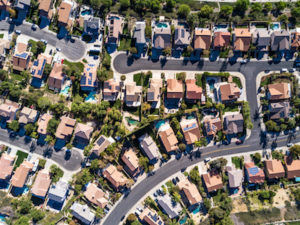 We have a well-established reputation throughout Los Angeles county for always providing high quality artificial grass, impeccably installed. We have so many happy customers throughout Los Angeles county, so don’t be shy about asking around! 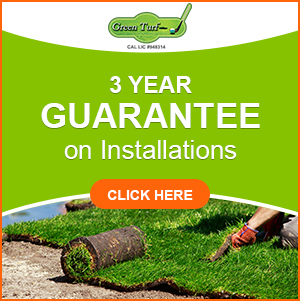 We know that it can be so hard to pick an artificial grass installation company, but we give you tremendous peace of mind by providing the following guarantees. We offer a 3-year guarantee on the installation, so in the first 2 years of use, if you discover any kind of problem with the way it was installed, we’ll come back and fix it free of charge. In all likelihood it won’t happen, but the offer is always in effect so you won’t have to worry. In addition, TigerTurf, the manufacturer of the excellent artificial grass we install, provides a 15-year limited manufacturer guarantee. So in the unlikely event that certain covered problems occur during the first 15 years, your artificial grass will be repaired or replaced at zero cost to you. These are our promises to you, and we hope they give you confidence that you’re making the wisest possible choice by relying on Green Turf. If you have pets, you may think that your property would not be an ideal candidate for upgrading to artificial grass. But that’s not the case at all! Here at Green Turf, we set TigerTurf that’s been scientifically calibrated to perform and look its best, even when pets use it on a daily basis. Our pet turf is non-toxic, durable, stain-resistant, fade-resistant, and clean (you won’t have to worry about dirty paws when your furry friends come inside after playing in the yard anymore). To keep your pet turf clean, simply scoop up solid waste like you would at a park, and then spot clean the area using an enzyme cleaner or vinegar-based solution. Liquid waste is even easier – just hose down the area briefly so it rinses away. We recommend pairing pet turf with anti-microbial Durafill Infill to protect it from odors and bacteria every day. It’s the perfect alternative to natural grass, especially for pet owners. Upgrade your property in Los Angeles county with artificial grass from Green Turf! 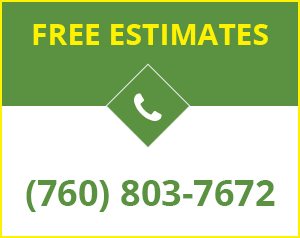 Call (951) 656-4150 to request your free estimate.